Plan this haircut wisely guys. Your wedding day is one of the most important days of your life. It is also one of your most photographed, so it's important to look good for it. 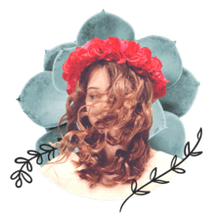 Of course, getting a haircut for your wedding day takes a bit more planning than your average haircut, so follow these guidelines to ensure you look as good as possible for your big day. The general rule of thumb is that you want to go with something fairly conservative for your wedding. More than likely, it is a formal event, so think of a formal style -- something a bit more clean cut. You'll want to avoid fad haircuts that will look dated when you're showing your kids those wedding photos in 20 years. That being said, don't go "out of character" for your wedding day haircut -- stick with something that is you. If you normally wear a buzzcut, there is nothing wrong with doing one for the wedding photos -- she met you and fell in love with you and your buzzcut, so I think it is appropriate if you choose that style for your wedding haircut. Some may not agree with this idea, but I've never been a big fan of guys doing something that is out of character for a wedding photo. If you have a regular barber or stylist you love, I would recommend sticking with them for the wedding haircut. However, if you're going to some cheap chain for the bargain haircut, seek out someone a little more skilled for your wedding haircut. Remember, this is the most important and most photographed day of your life, so make sure your haircut looks perfect. This may mean spending a little more money. 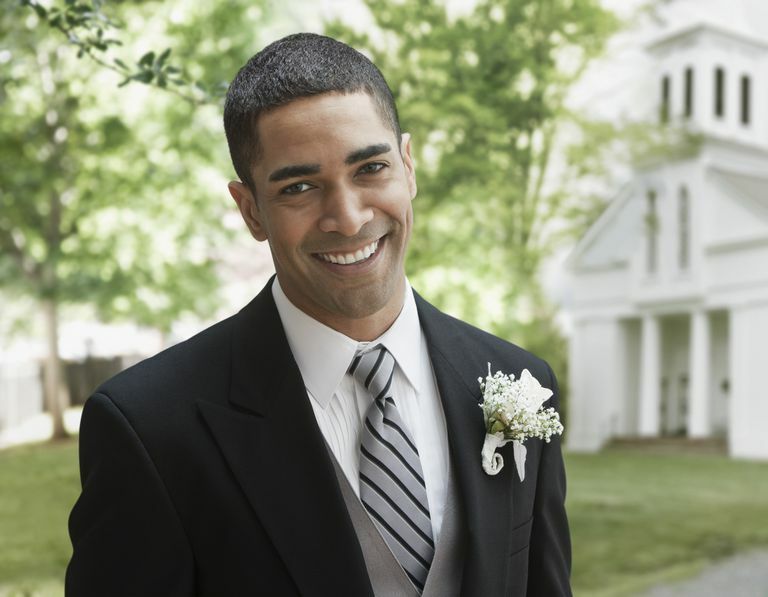 Whether you choose a barber or stylist depends on the type of haircut you'll be wearing for the big day. Typically, for a shorter hairstyle, you'll seek out the services of a skilled barber. For a longer, more "styled" look, you may wish to choose a hairstylist -- but try to find one specifically skilled in cutting men's hair. If you're not sure where to get your haircut, there are lots of online review sites that can help you find a barber or stylist, but the easiest way to go is to simply ask someone who has a similar style where they got it cut. This is important! Never get your hair cut the day before or the day of the wedding. The first reason for this because you don't want to have a fresh haircut on the day of the wedding. After a haircut, there are often tan lines that look unsightly in photos and the hair may need a few days to settle in to the new haircut. Also if the barber or stylist makes a mistake, you'll want some time for the hair to grow out a bit or so you can go somewhere and have adjustments made. I would recommend getting your hair cut one week prior to the big day and scheduling a follow-up touch-up the day of or the day before the wedding. For the follow-up, this would just be a VERY slight trim around the ears and neck so the haircut looks neat. If you can plan this for the day of the wedding, have your barber or stylist style your hair for you or show you how to do it later so you'll look your best. One more important thing is to make sure, if offered, to schedule an appointment for your haircut (make it a few weeks in advance) and make sure the barber or stylist knows this is a haircut for your big day to ensure they have adequate time to spend making sure your haircut is perfect. Many barbershops or high-end men's salons offer traditional shaving services which are a real treat for you and your groomsmen. Typically, shaving parties are held the morning of the wedding (you're still getting your haircut the week prior) and you'll need to make appointments for everyone at the same time. This is a great way to kick off your big day right and treat your friends to an experience they'll love. If you're reading this article because you're planning your wedding day. Congratulations! Follow this advice and you're gonna look great!